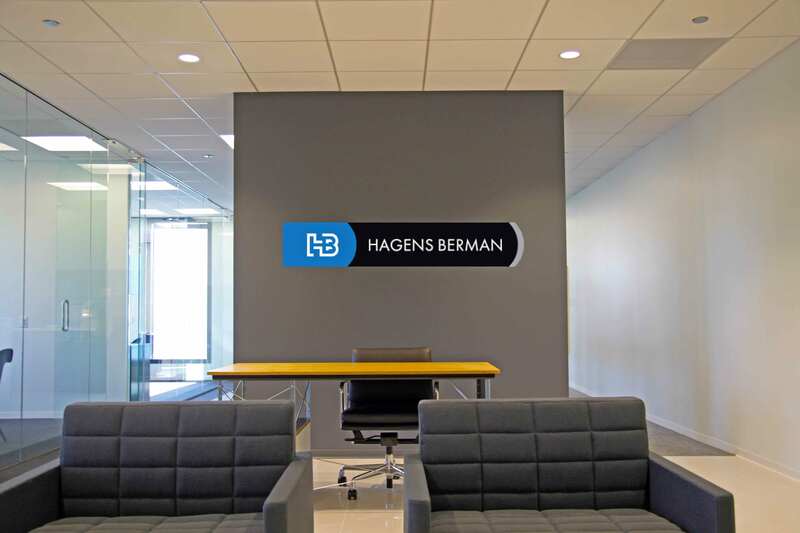 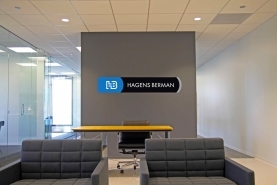 Hagens Berman Sobol Shapiro (HBSS) is one of the nation’s leading class-action law firms focusing on consumer and antitrust cases, including high-profile suits that impact consumers across the United States. 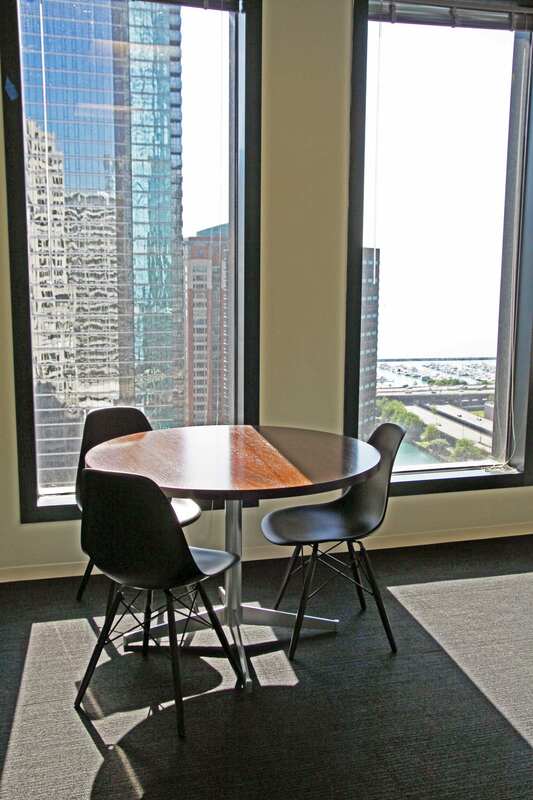 The Chicago office serves as the firm’s Midwest headquarters, and was recently relocated to a suite within the NBC Tower. 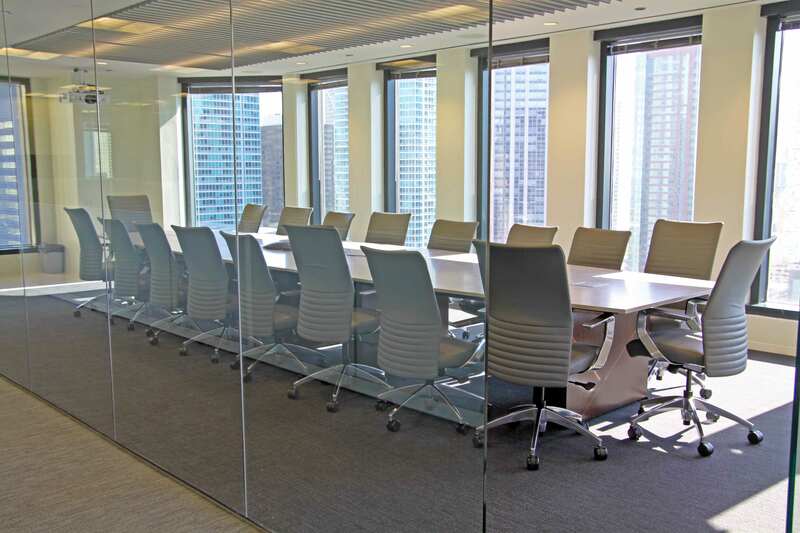 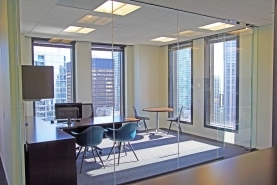 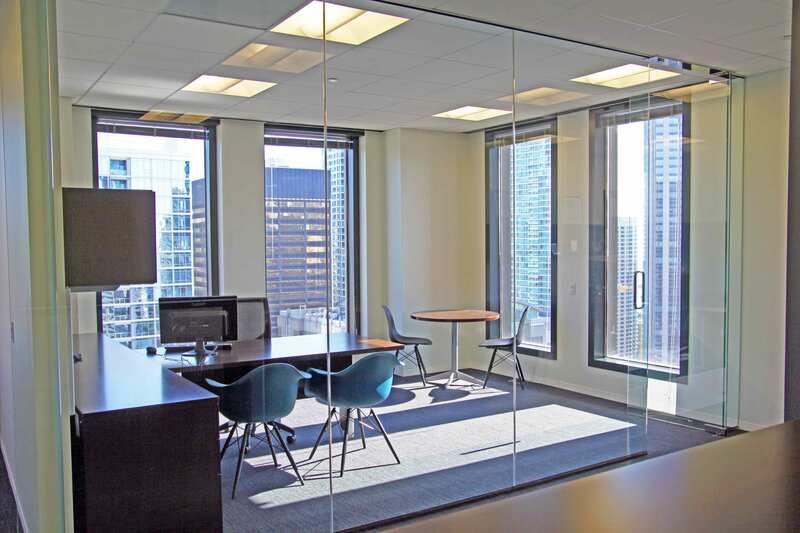 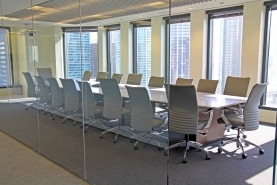 Reed Construction performed a 4,558 square foot interior build-out for the new space, which included glass walls for all offices and conference rooms. 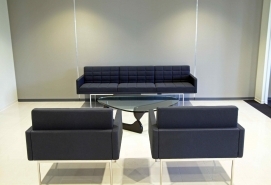 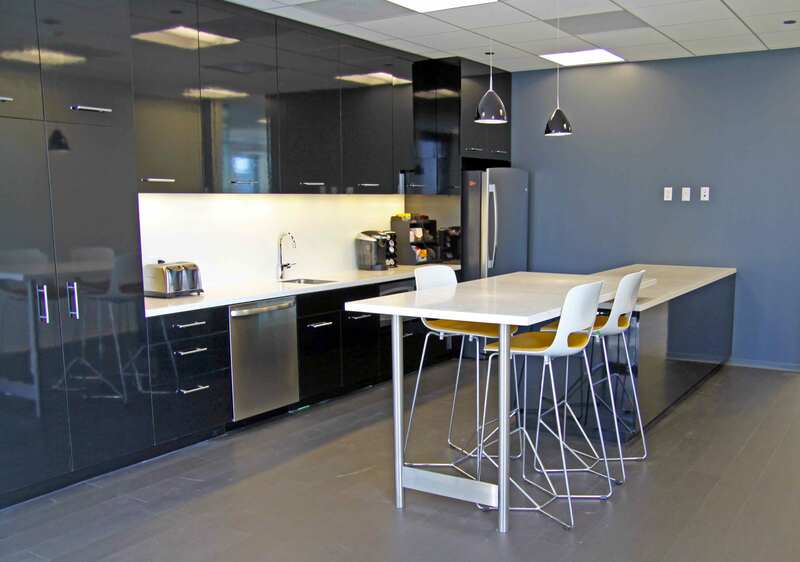 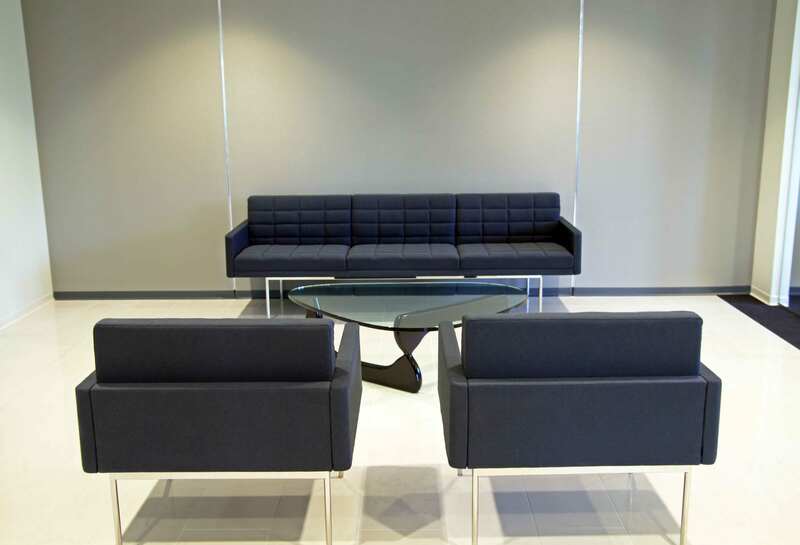 The office also features a modern employee break room with luxury vinyl tile flooring and a custom island counter. 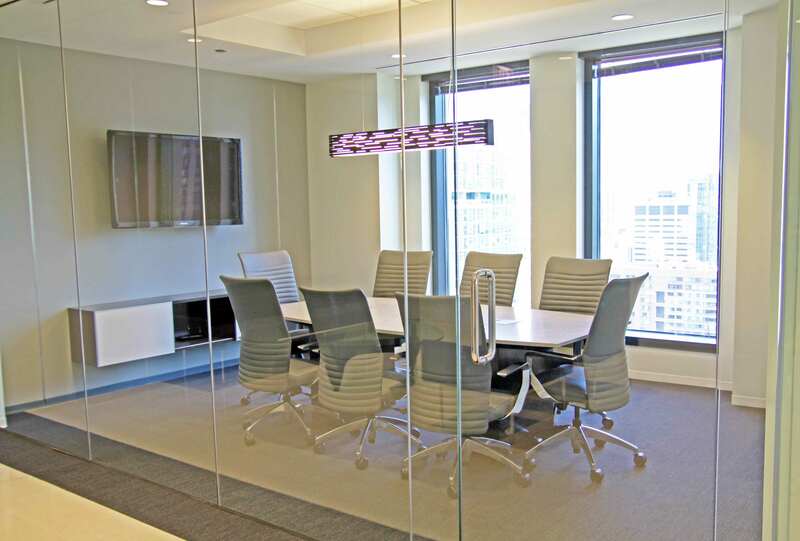 In addition, a decorative Hunter Douglass pocket ceiling was installed to create a unique lighting element in the main conference room.